Ammersoyen is one of the best preserved mediaeval castles in the Netherlands. The castle has four corner towers, a fortified bailey and is encircled by a moat. 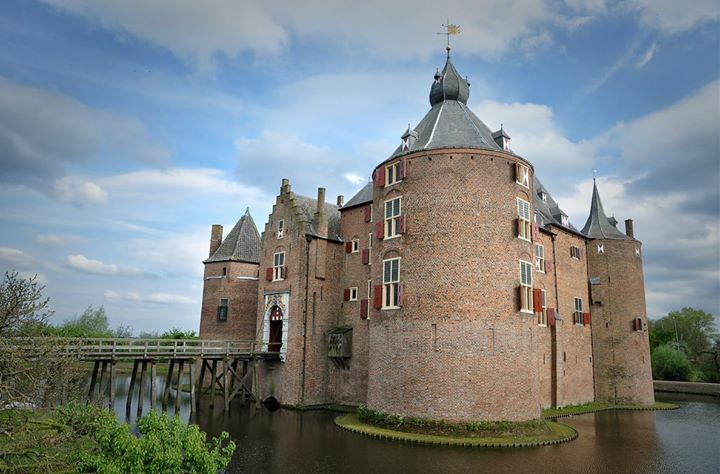 It is a typical Dutch water castle or moated castle. The mediaeval character of the interior can be seen in its great hall and its attic full of weapons and treasures found in the moat. All in all, it provides visitors with a good idea of what life would have been like in a castle. When it was built around 1350, Ammersoyen Castle was on the river Maas. The river was redirected a short time later, but the castle and its fortified bailey remained surrounded by water. With its square design and four corner towers, the castle is a good example of the type of castle introduced by Count Floris V of Holland. A notable feature is that the castle was built as a whole, whereas most castles were built in multiple phases.